Adeniyi Ayoade, Administrative Law Judge, Office of Administrative Hearings (OAH), State of California, heard this matter in McClellan, California on May 23 through 26, 2011. Heather M. Edwards, Attorney at Law, represented the Twin Rivers Unified School District (District). Pam Nolan, District’s Director of Special Education, was present throughout the hearing on behalf of District. Steven Berniker, Attorney at Law, appeared on behalf of Student. Mother was present throughout the hearing on behalf of the Student. District filed its request for due process hearing on February 16, 2011. On March 4, 2011, OAH granted Student’s motion for a continuance. At hearing, oral and documentary evidence were received. At the close of the hearing, the matter was continued to July 5, 2011, for the submission of closing briefs.1 On that day, the record was closed and the matter was submitted for decision. 1 Closing briefs were originally ordered to be filed by the close of business on June 27, 2011. However, an extension of the closing briefs’ filing deadline was granted until July 5, 2011, due to a one-week delay in the submission of additional evidence by Student. Does the individualized education program (IEP) dated January 28, 2011, offer Student a free appropriate public education (FAPE) in the least restrictive environment (LRE) so that District may implement the IEP without parental consent? As a proposed resolution, District requests OAH find that its January 28, 2011 IEP offers Student with a FAPE in the LRE, and thus authorize District to implement the IEP without parental consent. 1. Student is a 13-year-old male who lives with his Mother (Parent) within the geographical boundaries of District. He is eligible for, and has been receiving, special education and related services since 2001 under the primary eligibility category of intellectual disability, and speech and language impairment as the secondary category. Student is also diagnosed with Down syndrome. 3. Children with disabilities have the right to a FAPE. The term “free appropriate public education” includes special education and related services that: have been provided at public expense and are provided in conformity with the student’s IEP. “Special education” is instruction specially designed to meet the unique needs of a child with a disability. 4. An IEP is an educational package that must target all of a student’s unique educational needs, whether academic or non-academic. The term “unique educational needs” is broadly construed and includes the student’s academic, social, emotional, communicative, physical, and vocational needs. Further, in developing the IEP, the IEP team must consider the strengths of the child, the concerns of the parents for enhancing the education of their child, the results of the initial assessment or most recent assessment of the child, and the academic, functional and developmental needs of the child. 5. District’s January 2011 IEP offer followed a period of time since 2007, during which Parent had not consented to District’s IEP offers. In 2010, District funded independent speech and language and psycho-educational assessments in order to obtain updated information about his unique needs related to his disabilities. District’s January 2011 IEP offer was based on these assessments. Student contends that District’s January 2011 IEP offer was flawed and did not offer a FAPE. Thus, these prior assessments would be relevant in evaluating Student’s unique needs at the time of the January 2011 IEP offer. 6. As of January 2011, Student has both an intellectual disability and speech and language delays. He has both receptive and expressive language skills delays, and global delays in speech skills including phoneme distortions, sounds deletions, substitutions, and issues with oral motor functioning due to tongue protrusion impacting his overall speech intelligibility. Further, Student is intellectually disabled, and his overall intellectual ability (Full Scale Intelligent Quotient (IQ)) was in the “very low” range. 2 Parent’s request for HHI was first discussed at a meeting (not an IEP) held between District and Parent on August 25, 2010. The meeting was continued to September 1, 2010, when District agreed to provide HHI to Student. HHI was not added to Student’s IEP until the IEP of November 1, 2010. 7. Around August 2010, Parent requested home instruction for Student in the HHI program and thereafter did not return Student to school. Parent and District’s staff had two meetings on August 25, 2010, and September 1, 2010. These were not IEP team meetings. The August 25, 2010 meeting was attended by Mother, relevant District staff including Kristen Appel (School Psychologist), Kelly Dogde (District’s Speech and Language Pathologist), and Lovina Robinson (special education teacher/specialist), among others. A representative of Alta California Regional Center (ACRC), which had funded behavior support services for Student concerning self-injurious behaviors, was also present. 8. The August 25, 2010 meeting was held to discuss Parent’s request for HHI, based on the recommendations of Dr. Janak Mehtani, Student’s physician. In his report dated March 3, 2010, Dr. Mehtani reported that Student was “very distraught, despondent”, with grossly impaired insight and judgment. He diagnosed Student with “psychosis, not otherwise specified, secondary to mental retardation” and “psychosocial stressors, unspecified, moderate to severe, problems in the school, lack of adequate care.” He thus recommended, strongly, that Student be taken out of his current school. He believed Student would need psychological care and treatment. At the August 25, 2010 meeting, an HHI information packet regarding the requirements for HHI placement was provided to Parent. The meeting was continued to September 1, 2010, and no change was made to Student’s IEP at the August 25, 2010 meeting. 9. The September 1, 2010 meeting was attended by Mother, relevant District staff members and Camilla Houston of ACRC. At the September 1, 2010 meeting, Mother presented the Sacramento County Mental Health (SCMH)’s “Medication Services progress Notes” (report) issued by Dr. Schwerin. The report dated June 23, 2010, which was discussed at the meeting, indicated that even though Student was not clinically depressed, his “family stress caused by the perceived school problems does impact [Student] emotionally, and this is clinically consistent with Adjustment Disorder.” Thus, Dr. Schwerin recommended family-based therapy/counseling services for Student and Parent, in addition to other services. Also, the requirements for HHI were discussed at the meeting. 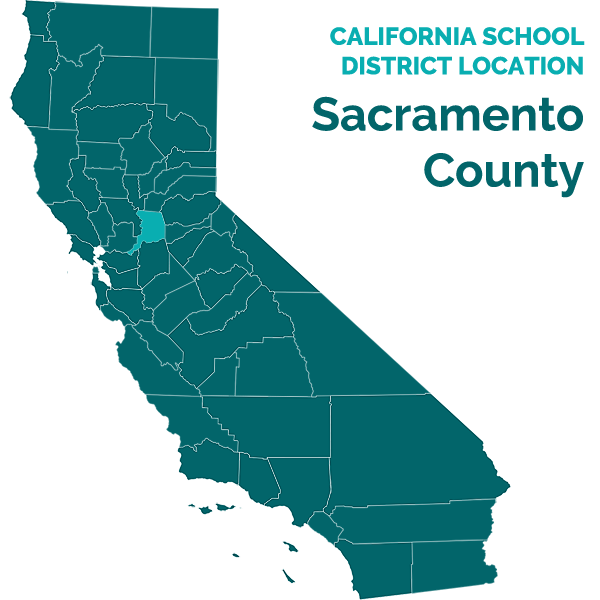 Mother indicated that she had no interest in Student attending District’s school, and accordingly the possibility of an inter-district transfer to Natomas Unified School District (NUSD) was discussed. 10. At the September 1, 2010 meeting, an Inter-District Transfer Request Form was provided to Parent, as well as Student’s educational records as required for such transfers. Ms. Houston volunteered to forward the transfer request, on behalf of Parent to NUSD, and in the interim, requested that District agree to place Student in HHI temporarily, until the processing of his application to transfer to the NUSD is completed. Ms. Nolan credibly testified that even though she was not convinced that Student met the criteria for HHI, she nonetheless agreed to go along “in the spirit of cooperation and trying to help Student, ” while waiting for NUSD’s determination about the Student’s inter-district transfer request. Although District agreed to offer Student HHI as a temporary measure at the September 1, 2010 meeting, no change was made to Student’s IEP at that meeting. The evidence established that District did not believe Student met the eligibility criteria for the HHI program, as Student was not “hospitalized” or “under continued medical care and … considered unable to return to school.” However, District agreed to Parent’s request for HHI program as a temporary arrangement. 11. District convened an IEP team meeting on November 1, 2010. The evidence established that the November 1, 2010 IEP team meeting was attended by Parent and her advocate, all required District members, as well as two representatives of ACRC. Student remained qualified for special education services under the categories of intellectual disability as the primary category, and speech and language impairment as the secondary category. The IEP notes indicated that Student’s current present levels of performance (PLOPs) were reviewed and annual goals were developed in the areas of expressive language, math, writing and decoding. 12. At this IEP team meeting, HHI was formally added to Student’s IEP, and the IEP notes indicated that HHI would end in December, when the team would discuss future placement. The offer provided that Student would be placed in a District public school SDC class, and would receive 100 percent of his academic instructions outside the regular education classroom setting. He would receive 300 hours per week of individual specialized academic instruction in his HHI temporary placement, and 60 minutes monthly of speech and language services at his public school location. Parent did not and has not consented to the November 1, 2010 IEP at the time of the hearing. 3 The November 1, 2010 IEP offer is not at issue in this matter. 13. Following up on the IEP meeting held on November 1, 2010, Student’s IEP team met on January 28, 2011, to review Student’s special education program, and make a FAPE offer of special education placement, support and services to Student. District offered that Student would receive a total of 315 minutes per day of specialized academic instruction in a SDC; 50 minutes per week of individual and group speech and language (SL) services at the rate of 25 minutes per session and a total of two sessions per week; 20 sessions of individual and group SL services at the rate of 30 minutes per session (in order to make-up for the services Student missed when he was in HHI and was not receiving SL services in the fall of 2010); an assistive technology device consisting of a low-tech communication board; and specialized transportation. 14. The IEP included five proposed annual goals, specifically in the areas of reading, writing, telling time, communication, and speech intelligibility. Having provided notice to Parent at the November 1, 2010 IEP that HHI would end in December 2010, the IEP team decided to stop providing Student with HHI on January 31, 2011, because “Student no longer meets the criteria for HHI.” District believes that Student has not met the eligibility criteria for a restrictive educational setting such as HHI since December 2010.4 Parent did not to sign the January 28, 2011 IEP, because Parent believed Student needed HHI and that District should have continued to allow Student’s participation in HHI. On February 16, 2011, District filed its request for due process hearing seeking OAH’s authorization to implement the IEP without parental consent. 15. There are two parts to the legal analysis of the validity of an IEP. First, the tribunal must determine whether District has complied with the procedures set forth in the Individuals with Disabilities in Education Act (IDEA). Second, the tribunal must decide whether the IEP was reasonably calculated to enable the child to receive educational benefit. A procedural violation may result in a denial of a FAPE if it impedes the child’s right to a FAPE, significantly impedes the parents’ opportunity to participate in the decision-making process regarding the provision of a FAPE to their child, or causes a deprivation of educational benefits. 16. As discussed below, because District failed to establish, in this hearing, that it has complied with the procedures set forth in the IDEA, particularly relating to the opportunity of the Parent to fully and meaningfully participate in the development of Student’s IEP dated January 28, 2011, a discussion of the second part of the legal analysis will not be undertaken. 17. A school district must afford the parents of a child with a disability the opportunity to participate meaningfully in IEP meetings. It must take steps to ensure that all IEP team members, including parents, attend an IEP meeting, and that parents have an adequate opportunity to participate and to present information to the IEP team. Districts must notify parents of an IEP meeting early enough to arrange a mutually convenient date and must ensure that they will have an opportunity to attend. It may not conduct an IEP team meeting in the absence of parents unless the district is unable to convince the parents that they should attend, in which case it must keep a record of its attempts to arrange a mutually agreed-on time and place for the meeting. 4 The issue of the appropriateness of the HHI placement is not for determination in this matter, and thus is not decided. 18. In addition to Parent, an IEP team must include at least one regular education teacher of the student, one special education teacher of the student (or, where appropriate, a special education provider), a representative of the local educational agency, an individual who can interpret the instructional implications of assessment results, and other individuals invited at the discretion of the parent or the district who have knowledge or special expertise regarding the student. 19. The January 28, 2011 IEP team meeting was attended by Parent, Janette Conwell (Arabic Interpreter that provided translation services to Parent), Jeffrey Morgan (Student/Parent’s Advocate), Richard McGuire (HHI Instructor), Lovina Robinson (special education teacher/specialist), Janet Balcom (District’s Assistant Administrative Designee and Representative), Kelly Dogde (District’s Speech and Language Pathologist), Pam Nolan (District’s Director of Special Education), Chandra Khumar (Special Education Coordinator) and Kristin Appel (School Psychologist). Additionally, the Student’s school principal attended. The evidence established that the IEP team meeting was attended by every person the law required. 20. A parent has meaningfully participated in the development of an IEP when she is informed of her child’s problems, attends the IEP meeting, expresses her disagreement with the IEP team’s conclusions, and requests revisions in the IEP. A parent who has an opportunity to discuss a proposed IEP, and whose concerns are considered by the IEP team, has participated in the IEP process in a meaningful way. Further, a school district has predetermined its IEP offer when it has decided the offer prior to the IEP meeting, including when it presents one placement option at the meeting and is unwilling to consider other alternatives. A district may not arrive at an IEP meeting with a “take it or leave it” offer. 21. Parent attended the January 28, 2011 IEP meeting, and based on the transcript of the audio recording of the January 28, 2011 IEP team meeting,5 which was submitted by Parent, the evidence showed that Parent, with the help of an Arabic Interpreter, was able to ask questions, raise issues, object to proposed placement and bring the meeting to an adjournment, among other matters. She presented documents and information from Student’s doctors and was able to discuss various issues relating to Student’s health, his disability and educational needs. While the evidence showed that Parent was able to participate in the January 28, 2011 IEP team meeting, the evidence failed to establish that Parent was able to fully and/or “meaningfully” participate at the January 28, 2011 IEP meeting that produced the IEP offer at issue in this matter. 22. As discussed below, District predetermined the offer and did not fairly consider Parent’s new information and was unwilling to consider other alternatives. Parent brought new and additional medical and educational information about Student to District, for the first time, at the January 28, 2011 IEP meeting. This information included a letter dated January 27, 2011, written by Brynn Kelly, a Pre-doctoral Psychology Intern, and Dr. Dawn Blacker, with the University of California, Davis, CAARE Diagnostic and Treatment Center (CAARE). The information in the letter was regarding Student’s mental issues and special educational needs. A review of the January 28, 2011 IEP record failed to establish that this letter, and the new and additional medical and educational information was evaluated, acted-upon, discussed or considered by the IEP team. The IEP note contained no information about any discussion relating to Student’s mental health or consequent educational needs as presented in the January 27, 2011 letter from CAARE. In fact, regarding the letters and other documents presented by Parent at the IEP team meeting, the IEP note indicated that “Parent presented documents at this meeting that will be reviewed by HHI Coordinator. District is moving forward with an offer of FAPE.” Thus, the evidence established that information presented by Parent at the January 28, 2011 IEP team meeting was not considered at the IEP team meeting prior to the formulation of District IEP offer. 23. The impact of those mental health issues raised in the January 27, 2011 letter from CAARE on Student’s IEP was neither evaluated nor considered by Student’s IEP team. Thus, prejudice is established against Student and the evidence showed that Student’s January 28, 2010 IEP offer was predetermined, and not subject to reevaluation or change based on the newly presented information by Parent to the IEP team members. 24. Further, the evidence failed to establish that Parent’s request for additional assessment and “Parent’s Concerns” as outlined in Parent’s letters dated January 27, 2011, were fully discussed, evaluated or addressed by the IEP team. For the first time, District attempted to address Parent’s request for assessment, which was made at the IEP team meeting, in a letter dated February 2, 2011, after and outside the IEP meeting of January 28, 2011. Thus, for these reasons as well, the evidence failed to establish that Parent fully and meaningfully participated in the development of Student’s January 28, 2011 IEP. 25. Also, the evidence failed to show that timely and proper legal notice for the January 28, 2011 IEP team meting was provided by District to Parent, in order to give her enough time to prepare or invite people. Even though Parent had an advocate at the IEP meeting and was able to ask questions and present information, District failed to consider Parent’s new information and new issues relating to Student’s mental health. Continuation of HHI was not considered at the meeting in light of the January 27, 2011 letter from CAARE regarding Student’s mental health issues and needs. While District may be correct to believe that Parent’s request for continuance was another delay tactic as Parent had not consented to an IEP since 2007, District did not inform Parent that the IEP meeting would not be continued following Parent’s request for continuance. The meeting ended with District requesting Parent to sign medical release information packet so that District’s staff could talk to Student’s physicians regarding his HHI placement recommendation. Parent was provided with the HHI package. 26. Further, the January 28, 2011 IEP team meeting ended because Parent requested a continuance of the meeting in order to have an advocate present at another IEP team meeting. Notably, Parent had an advocate at the IEP meeting, as Mr. Morgan was introduced at the meeting as an “Advocate.” While the evidence failed to show that District agreed to the request for continuance, the meeting ended at that point. No such additional IEP meeting was called or noticed by District. Instead, District filed this due process request on February 16, 2011, in order to validate its offer and/or be authorized to implement its IEP offer without parental consent. A continuation of the IEP team meeting would have helped Parent to fully participate as she could have come back with another advocate, and the team could consider the new information presented by Parent at the January 28, 2011 IEP team meeting. Parent believed that the IEP team meeting would be continued and that the development of the IEP was not completed. 27. District failed to establish any prejudice it would have suffered if it had continued the IEP meeting as Parent requested, rather than observing Parent walk out of the meeting and filing this case thereafter. Regarding the prejudice to Parent, while the evidence showed that the letter from CAARE regarding Student’s mental health issues and educational needs, Parent’s letter requesting additional assessment, and the additional new information that Parent presented at the IEP team meeting of January 28, 2011, were accepted and made part of the record, District did not discuss or consider these letters or requests at the IEP team meeting. 28. Other than the above, regarding the assessments upon which District based its IEP offer of January 28, 2011, there are procedural violations/issues found, which are further discussed below. 29. On February 10, 2010, Monica Lizarraga, a licensed Speech and Language Pathologist employed by Jabbergym, a state certified non-public agency, conducted a District-funded independent educational evaluation (IEE)6 of Student in the area of speech, language, and communication. She summarized her findings in a report dated February 17, 2010. Ms. Lizarraga has a bachelor’s degree in psychology and a master’s degree in speech pathology. She was licensed by the California Speech-Language Pathology and Audiology Board, and holds the American Speech Hearing Association Certificate of Clinical Competence as well. In the past, she has worked as school district speech and language pathologist, and has been in private speech and language pathology practice since 2008. She has experience working with special needs students, providing evaluations and services (therapy) to students, including those with autism and various speech and language needs. She has conducted over two hundred speech and language assessments including some for students with Down syndrome. The evidence established that Ms. Lizarraga was qualified to assess Student’s speech, language, and communication needs. 30. The purpose of Ms. Lizarraga’s assessment of Student was to determine and describe his “current communication skill levels.” As part of her assessment, Ms. Lizarraga reviewed records, observed Student, interviewed Parent and administered the Oral Written Language Scale (OWLS) and the Goldman-Fristoe Test of Articulation (GFTA) as standardized assessment tools. Under the OWLS, two sub-tests were administered: the Listening Comprehension sub-test to evaluate Student’s ability to understand language (receptive language), and the Oral Expression sub-test to assess Student’s ability to verbally express himself (expressive language). Student scored below the first percentile level in both areas. Regarding his articulation, this was informally assessed through observation, and formally with GFTA. The GFTA showed that Student was about 50 percent intelligible when speaking in an “unknown context,” and about 65 percent intelligible when speaking in a known context. His clarity of speech was compromised at word and phrase levels, and included “sound distortions, deletions and substitutions.” In this test as well, Student was found to be significantly delayed, as his score placed him below the first percentile level for his age. Based on the assessment results, Ms. Lizarraga recommended that Student continue to receive speech and language interventions, and that he would probably benefit from a “total communication approach,” focusing on receptive, expressive and pragmatic languages, speech intelligibility, as well as functional communication and strategies. 6 The parent of a special needs student has the right to an independent educational evaluation at public expense if the parent disagrees with an evaluation obtained by the district responsible for the education of the special needs student. “Independent educational evaluation” means an evaluation conducted by a qualified examiner who is not employed by the district; and “public expense” means that the district either pays for the full cost of the evaluation or ensures that the evaluation is otherwise provided at no cost to the parent. 31. The evidence established that Ms. Lizarraga was knowledgeable and competent to perform the assessment. Student did not argue or establish that the speech, language, and communication assessment was flawed, or that Ms. Lizarraga’s conclusions and recommendations were erroneous. 32. At the hearing, Ms. Lizarraga testified that she discussed her report with District’s Director of Special Education. She believed that Mother received her report at some point. District established that it convened an IEP team meeting in June 2010, in order to review the Speech, Language, and Communication assessment report dated February 17, 2010, but that Parent was unable to attend. Parent credibly established, as found below, that District did not provide her with proper legal notice of the IEP meetings on May 28, and June 2010.7 Whether the 2010 speech and language IEE report was timely considered by Student’s IEP team in 2010 is not an issue in this proceeding. However, this evidence is relevant in evaluating District’s compliance with procedural notice requirements in January 2011. While the evidence established that Parent received the February 2010 speech, language and communication report, long before the January 2011 IEP team meeting, District offered no persuasive evidence to show that the report was discussed with Parent at an IEP team meeting. As discussed below, failure to discuss assessment results with Parent at IEP team meetings appears to be a pattern. 33. Dr. Stephen Brock conducted an independent psychoeducational assessment of Student on May 27, 2010, and produced a report dated May 27, 2010. Dr. Brock is a licensed psychologist and has both bachelor’s and master’s degrees in psychology, and a doctorate degree in education with specialization in psychological studies. He is a California licensed educational psychologist and has a National School Psychologist certificate. He also holds the Pupil Personnel Service Credential as a school psychologist, and a Community College Instructor Credential. Dr. Brock has an extensive career teaching psychological issues, suicide prevention and various interventions beginning around 1997. From 2001, Dr. Brock has been employed by the California State University, Sacramento, Department of Special Education, Rehabilitation, School Psychology and Deaf Studies. From 2009 to the present time, he has worked as a professor and program coordinator at the University of California, Davis, providing graduate special education and psychological trainings, as well as coordinating school psychology programs. Dr. Brock has also worked in private practice as an educational psychologist since 1987. 34. Dr. Brock’s assessment was an IEE agreed upon by the parties and funded by District. Dr. Brock has experience providing psychoeducational services and assessments to students through his private practice, and has participated in numerous IEPs for special needs students, including those with Down syndrome. Based on his educational background, training, and experience, he is both qualified to assess Student and knowledgeable about his disability. The purpose of the psychoeducational assessment was to evaluate the impact of Student’s intellectual disability, his underlying Down syndrome condition on his education, and determine Student’s present levels of functioning in order to refine Student’s “special education goals and educational program needs.” As part of his assessment, Dr. Brock spoke with Parent, interviewed Student’s teacher and Student, and observed Student in various settings. He reviewed Student’s available records including medical history, previous assessment reports, prior IEPs and observation reports. 36. Dr. Brock administered the Vineland Adaptive Behavior Scales, Second Edition (Vineland-2) to assess Student’s adaptive behavior. The Vineland-2 showed that Student had low adaptive skills in all areas including communication, daily living skills, and socialization. Socialization was a relative area of strength for Student. “Consistent with his moderate to severe intellectual disability,” Student’s adaptive skills composite was clinically significant with possible significant behavior problems at home and school. His ability to express ideas and communicate was found to be very poor. 37. Dr. Brock also administered the Behavioral Assessment System for Children, Second Edition (BASC-2) to assess Student’s social-emotional functioning due to Parent’s concerns in this area. In this test, Student’s scores indicated he was in the clinically significant range for “disruptive behaviors or internal problems,” which Dr. Brock believed was due to his intellectual ability, which is below the first percentile level for his age and typically developing peers. The results of Dr. Brock’s assessment were consistent with previous assessments that had been obtained of Student, and confirmed that Student has a moderate to severe intellectual disability. Thus, Dr. Brock concluded that Student qualified for special education services under the eligibility category of intellectual disability. Among others, Dr. Brock recommended a public school placement for Student with emphasis on functional academic curriculum, teaching “life skills required for successful daily living,” due to his significant intellectual disability. 38. The evidence established that the assessment results presented accurate statements regarding Student’s present levels of performance as of May 7, 2010. Further, Dr. Brock’s findings from the formalized assessments were consistent with what he observed in Student in various educational settings. Student did not establish that the psychoeducational IEE was flawed. As to Student’s contention that Dr. Brock’s resulting opinions were suspect, Student presented no persuasive evidence to show that the findings of Dr. Brock was unreliable or that the assessment failed to comply with any procedural or substantive requirements. To the contrary, the evidence established that the assessment of Dr. Brock was both valid and reliable. 40. The evidence showed that the report of Dr. Brock dated May 27, 2010, and Ms. Lizarraga’s Speech, Language and Communication assessment report had been received by Parent long before the January 2011 IEP meeting and that Parent was aware of the findings in both reports. However, the evidence failed to establish when the report of Dr. Brock was first provided to Parent, whether it was prior to or subsequent to the June 2010 IEP team meeting. Further, the evidence failed to show whether or when the assessments results were presented, explained to, and/or reviewed with Parent, whether timely or otherwise. Thus, District’s failures to comply with the procedural requirements regarding how and when assessment results should be reviewed/presented at IEP meetings cast a significant shadow over the questions of whether District complied with the procedural requirements in developing its IEP offer of January 28, 2011. Further, as found above, District’s failure to provide timely notice to Parent of these IEP meetings bears relevance on the question of its later compliance with notice requirements in connection with the January 2011 IEP meeting. 41. Thus, based on the totality of the evidence, District failed to establish that Parent was provided the opportunity to meaningfully participate in the development of the January 28, 2011 IEP offer. First, District failed to consider new information that Parent presented about Student’s educational needs, as contained in the CAARE report dated January 27, 2011, among others. Due to District’s failure to address this new information brought to the January 28, 2011 IEP meeting for the first time by Parent, the evidence supports a finding that District predetermined Student’s IEP offer of January 28, 2011. Second, the January 28, 2011 IEP meeting ended when Parent requested a continuance of the meeting, and District provided Parent with HHI package and medical information release form in order to further evaluate Parent’s request for HHI program for Student. District did not inform Parent that it was unwilling to continue the IEP meeting. Thus, because Parent was misled to believe that District would continue the IEP meeting, and for this reason also, Parent was not able to fully and meaningfully participate in the development of Student’s IEP dated January 28, 2011. 42. Based on the foregoing reasons, District’s request that OAH finds that its IEP dated January 28, 2011, provides Student a FAPE in the LRE is denied. District may not implement the IEP without parental consent. 43. Because District denied Parent the opportunity to meaningfully participate in the development of Student’s IEP dated January 28, 2011, and because the procedural violations are so significant, the issue of whether District substantively offered Student a FAPE in the LRE through its IEP offer dated January 28, 2011, is not discussed further. The evidence established that District’s procedurally non-compliant IEP offer of January 28, 2011, could not be found to have offered Student a FAPE for the foregoing reasons. 2. District contends that the January 28, 2011 IEP offered Student a FAPE, as it offered a placement, related services, and an individualized academic instruction based on the results on accurate PLOP and assessment information. District contends that the IEP included annual measurable goals designed to meet Student’s unique needs resulting from his disability. As such, District contends that it should be able to implement the IEP without parental consent. Student disagrees, contending that the placement offered was inappropriate and that her right to fully participate in the IEP process was interfered with and thus prevented from meaningfully participate in the development of Student’s IEP dated January 28, 2011. As discussed below, District failed to meet its burden of demonstrating by a preponderance of the evidence that it offered Student a FAPE due to procedural violations significantly impeding Parent’s right to meaningfully participate in the development of Student’s IEP. As such, District may not implement the January 28, 2011 IEP without parental consent. Does the IEP dated January 28, 2011, provide Student a FAPE in the LRE so that the District may implement the IEP without parental consent? 12. The evidence established that District predetermined Student’s IEP program. At the IEP team meeting, District did not consider Parent’s requests for additional assessments, and the new information provided by CAARE about Student’s mental health and consequent educational needs with an open mind. Thus, District denied Parent her right to meaningfully participate in the IEP process. (Deal v. Hamilton County Bd. of Education (6th Cir.2005) 392 F.3d 840, 858.) Furthermore, Parent being misled into believing that the IEP team meeting would be continued hindered Parent’s ability to have the CAARE information considered by the IEP team and therefore, denied Parent meaningful participation in the decision-making process regarding the provision of a FAPE to Student. 13. The evidence failed to establish that the psychoeducational assessment reports of Dr. Brock, and the speech, language and communication assessment of Ms. Lizarraga were timely or properly reviewed at an IEP meeting as required by law. In fact, no persuasive evidence was offered by District to show that the results of the speech, language and communication assessment of Ms. Lizarraga or the psychoeducational assessment of Dr, Brock was presented at an IEP meeting attended by Parent, either at the IEP team meeting of November 1, 2010, or January 28, 2011. These assessment results, among others, were relied upon by District in developing Student’s PLOP, functional levels, unique educational needs, and consequently, its January 28, 2011 IEP offer. 14. Thus, the evidence established that Parent’s opportunity to participate in the decision-making process regarding the development of Student’s January 28, 2011 IEP, and the provision of a FAPE to the Student was significantly impeded. These procedural violations significantly impeded Student’s right to a FAPE, and thus a denial of a FAPE to Student is found on procedural grounds. For these reasons therefore, District failed to meet its burden of demonstrating by a preponderance of the evidence that it offered Student a FAPE pursuant to its January 28, 2011 IEP. 8 As found in Factual Finding 38, Parent had been notified of other IEPs “at the last minutes.” Some of these notices were less than 24 hours to the scheduled IEP. 15. An IEP is an educational package that must target all of a student’s unique educational needs, whether academic or non-academic. (Lenn v. Portland School Committee (1stCir. 1993) 998 F.2d 1083, 1089.) The term “unique educational needs” is broadly construed and includes the student’s academic, social, emotional, communicative, physical, and vocational needs. (Seattle Sch. Dist. No. 1 v. B.S. (9th Cir. 1996) 82 F.3d 1493, 1500 [citing J.R. Rep. No. 410, 1983 U.S.C.C.A.N. 2088, 2106].) Whether a student was denied a FAPE is determined by looking at what was reasonable at the time the IEP was developed rather than in hindsight. (Adams, supra, 195 F.3d at p. 1149, citing Fuhrmann, supra, 993 F.2d at p. 1041; JG v. Douglas County School Dist. (9th Cir. 2008) 552 F.3d 786, 801; Tracy N. v. Department of Educ., Hawaii (D.Hawaii 2010) 715 F.Supp.2d 1093, 1112.) Under this “snapshot rule,” the only issue in the instant case is whether District’s IEP was appropriate based on information known to it at the time the IEP team developed the IEP. Therefore, evidence of events that occurred after the last IEP team meeting held on January 28, 2011, is largely irrelevant in evaluating the appropriateness of District’s IEP at issue in this case. 16. Based on the evidence, because the newly presented information by Parent at the January 28, 2011 IEP team meeting was not evaluated or considered by the IEP team, District failed to establish that, based on information known to it about Student at the time the IEP was developed, its IEP offer of January 28, 2011, was appropriate. District did not present any evidence to establish that it corrected or attempted to correct its procedural violations following the January 28, 2011 IEP team meeting. Pursuant to California Education Code section 56507, subdivision (d), the hearing decision must indicate the extent to which each party has prevailed on each issue heard and decided. Here, Student prevailed on the sole issue.